Turner Troxell is a team of obsessive problem solvers on a mission to make your home uniquely customized to fit the lifestyle of your family. We do this by cultivating authentic relationships, sweating the details, and adapting to your needs. As our customer, you deserve to be served fully, not expected to become an overnight expert in construction. Our role is to show you the way to a fresh, new space- with no surprises along the way. And that's exactly what we do. Most importantly, we want you to live your life with a minimum of disruption, not adding an ounce of stress or distraction from your family and friends. We understand that your home is your oasis, your sanctuary. No need to worry about the details of your construction project; that's our job. We anticipate your questions, concerns, expectations and even fears. And we do everything possible to tackle every issue from the very beginning and offer our best recommendations based on our depth of experience and the fantastic relationships we've developed with other homeowners over the years. So, relax. This won't be stressful. In fact, when you choose Turner Troxell, you will actually have fun. We guarantee it. Greenleaf Construction combines old-world craftsmanship with the latest sustainable building practices to deliver an unparalleled remodeling experience. We are a collection of craftsmen that are committed to to quality design and construction, and providing a high level of service to our customers. Welcome to Schmidt Contracting Services, your full service home improvement headquarters. We are a family owned and operated company which is directly managed by the company owner. Our mission is to provide our customers with quality service and craftsmanship from start to finish on every job. We are licensed and insured, MHIC# 95371. We service the Annapolis and Baltimore Metropolitan areas including Anne Arundel County, Annapolis City, Baltimore City and County, Howard County, Prince George’s County, and Kent Island, Maryland. We are a general contractor specializing in painting and property services. Our company prides itself in delivering professional service and beautiful finished products to Anne Arundel County and the surrounding areas. Our main scope of work and focus is in kitchen, bath, master closet remodels, exterior/interior painting services and property services ranging from carpentry, flooring, renovations, home services to building those custom cabinets and built-ins for those unique spaces that are hard to find pieces to fit. With a large paint detail, we work with local builder to paint new builds and commercial build outs. We work for home owners, small commercial clients, real estate professionals/property managers and rental property owners. Our combined offerings allow us for quick turn around and efficient job completion. We are a family owned and operated business, run by Jerry and Shawn Hagan and have been business since 1992. Whether your project is a new custom home, a house from one of our floor plans, an addition or a simple kitchen or bath update, we can bring your visions to life. Over the years we have built a reputation for taking care of the needs, wishes and desires of our customers. 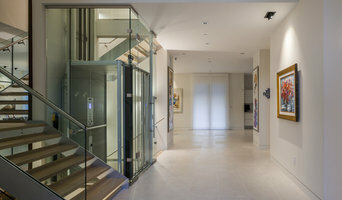 We work hard to ensure that all the projects we build are a true reflection of our clients’ lifestyles. We also try to save our clients money over their lifetime by building with and using more efficient products than are required by code in the construction of their project. Low-E Andersen windows, high efficiency Trane heating and cooling products, house wrap and R-49 blown in insulation in the attic are standard features in every project we build. I started Evergreen Building Group, LLC. to offer a new way to navigate the home design, building, remodeling and renovation process throughout Maryland. Our process is unique and customized in its approach. During our initial meeting, we will ask many open-ended questions and listen intently so that we may better understand your specific wants and needs. Our goal is understanding your ultimate home vision and assisting in making it a reality. Evergreen Building Group, LLC. strives to be a full-service partner throughout the complete construction and/or renovation process. It is our belief that nothing is more important than transforming the way each of our valued customers and their families lives. To that end, many of our customers are repeat customers who continually send us referrals. A referral is the greatest compliment we can receive, it tells us that our existing customer had a great experience, so great that they are vouching for us to their friends and family. Evergreen Building Group welcomes this pressure to meet and exceed your expectations. Whether your project is in our hometown of Annapolis or elsewhere our experienced, knowledgeable and qualified team is eager to show you the superior way to build, renovate, restore or expand your home. Contact Evergreen Building Group to begin your extraordinary home transformation. Call us for a free site visit/estimate! People Want Value, Honesty and Respect - These are the pillars on which our company is built. My wife and I started this business with one goal in mind – to provide the absolute best customer service and best dollar value to our customers that we possibly can…and it’s why we are adamant about treating each and every one of our customers like they are family. My wife and I both started out our careers in customer service and over the years we started to realize that customer service in this country was only getting worse and that companies were willing to do almost anything to pad their profits. From importing cheaper materials from China to short changing vendors and contractors. We quit our very lucrative jobs, disgusted with the industry. Shortly thereafter we decided to start our own company – vowing to be different. As we said before: How could my wife or I, who live, work, and play in the same community as are clients, look at each other in the eyes, or look at you, our friends, or our neighbors in the eye if we did not take that trust seriously, or if we were perfectly content to do shoddy work, or if we were a take the money and run company? The bottom line is that we couldn’t. Look, at the end of the day a home improvement / remodel is about more than just money, or roofs, or windows, or anything else…it really is about one thing and one thing only… Your Family. You see, we know that your friends, family, children or even grand-children eat, live, and sleep under “your roof;” when you ask for a remodel what you are really doing is trusting us with their safety, security and well-being. This is a sacred trust and one that we take very, very seriously…it’s why our clients are not clients…THEY ARE FAMILY and that is the reason why we will never let a customer down – regardless of the cost - PERIOD. Winchester is a specialized high-end residential builder based near Annapolis. A revered and respected partner, Winchester serves their clients and award-winning architects in Maryland, Washington, D.C. and the Eastern Shore. Winchester understands that fine building is indeed an art. The firm’s artistry results from clarity of purpose, collaboration with renowned architects, integration of seasoned professionals, and the highest standards for quality construction. The workmanship and durability of a Winchester-built home resonates for generations. Apple Creek Remodeling LLC. Is a Harford County based full service remodeling company with 32 years of service to Harford, Cecil and Baltimore counties. My long term commitment to unsurpassed workmanship and customer service is now shared by my sons Chris and Steven. They have proved themselves to be excellent craftsman with integrity, kindness. Both strive for customer satisfaction and together we work very hard to give our customers a true positive experience no matter how large or small the project. The 32 year evolution of Apple Creek Remodeling has given us the unique ability to be able to perform with confidence any improvement requests. Our services include kitchen and bath design and installation, tile design and installation, room additions, garages, decks, covered porches, interior renovations, siding and windows as well as requests for medium and small repairs. I have always prided myself on my attention to detail, job cleanliness, job performance foremost customer satisfaction. We are building slow and true to insure personal involvement and job control. Having a proven track record and a long standing repeat clientele testament to our resolve. HomeWorks - Collaborate, Coach, Contract is a licensed Maryland Home Improvement Contractor (MHIC) offering remodeling, consulting and homebuilding services. Family owned custom remodeling company. Award winning F.C. Batton and Son, Inc. is family owned and operated and has been in business with the same name for over 100 years! Father and son, Rick and Kyle, (the fourth and fifth generation of F C Batton and Son, Inc.) have the knowledge, experience and integrity to build or renovate your home. Although the history of our company speaks for itself, other factors have also contributed to the success of the company. The loyalty and working relationships with our subcontractors and employees are definitely a positive force. Our subcontractors are experienced, dependable and have worked for us for years. Our crews are experienced in framing, concrete, roofing, siding, trim and flooring along with many other skills. Most employees have been with F. C. Batton & Son for many years. Our materials suppliers are also tried and true, which further contributes to a high level of efficiency trust and between everyone involved in our projects. Our work ranges from small to large home renovations, including Aging in Place and home fire restorations, to 28,000 square feet custom homes. We have built in many locations, ranging from Baltimore, Harford, Howard and Anne Arundel County to Baltimore City, Gibson Island and the Eastern Shore. 2x BEST OF HOUZZ WINNER! Blair Construction was founded in 1987 with the goal of creating a company with a unique approach to the roofing process. Many roofers treat your home just like every other house. But at Blair we understand that a roof represents important protection for the lives and property it covers. And that the roofing system we install on your home is a big investment that deserves careful attention to every detail. We take the same approach on every home improvement project we take on. As delighted roofing customers asked us to return to complete additional work on their homes, Blair Construction gradually expanded to incorporate a broad array of services. And our staff grew as well, into the experienced, customer-oriented team of professionals we have now. 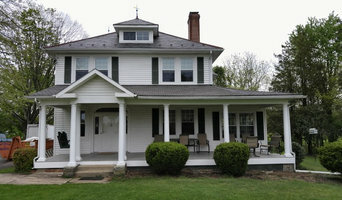 Why not build you own house with the help of Baltimore, MD builders? Builders in Baltimore, MD can be employed to handle a wide range of projects; from knocking down a partition wall to building a kitchen extension, but you’ll certainly need the help of a trusted house builder if you plan to build your own home from the ground up. But why would you take on such a task? The trouble with buying a resale property is that there is usually something that you don’t like. Perhaps the garden is too small, the kitchen is too far away from the lounge to chat while you cook, or energy efficiency is a pipe dream. To make structural changes might be either impossible or prohibitively expensive. And house prices continue to rise across the UK – by as much as six per cent a year – making it increasingly difficult to find a bargain that suits. So what’s the answer? Build your own house, or self-build as it is commonly known. This may seem like a daunting task, and admittedly, it’s not for the faint-hearted. But with extensive research, trusted builders in Baltimore, MD, detailed budgeting and good judgement you might soon be sitting in the house of your dreams, at a snip of the cost. Your architect’s plans will serve as clear instructions to your builder and, if the former has done their job well, you should also avoid any nasty surprises with the local council. Finding the right Baltimore, MD builder need not be a long or difficult process. 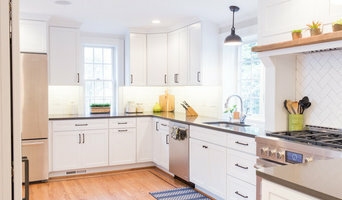 Personal recommendations aside, a good place to start is the Baltimore, MD Home Builders category of the Find a Pro section on Houzz, where you can see their previous work and ask questions. Compile a shortlist of at least three builders in Baltimore, MD that can handle the full scope of works, either by themselves or through sub-contracting. It is often a good idea to play devil’s advocate and ask what the builder will not be responsible for, such as structural engineer consultations. Be weary of unusually cheap quotes. Ask for references and stories about how the builder has met different challenges along the way. If you can, you could try to see builders’ previous projects in person and talk to previous clients, or if not, read reviews, recommendations and ratings, and look at detailed photos of projects. Then agree a clear schedule of work, an itemised and fixed quote (inclusive of VAT), and a staged payment scheme with balance to be paid subject to satisfaction. All under contract. Leave no stone unturned. Ask lots of questions. How long have you been operating as builders in Baltimore, MD? Which sub-contractors will you be using? May I see a current work in progress and speak to a previous client? Are you and your employees insured? What materials will you be providing? What happens if the completion date is delayed? What happens if the cost exceeds agreed budget? What is the notice period for termination of contract? Find builders on Houzz. Narrow your search in the Professionals section of the website to builders in Baltimore, MD. You could also look through Baltimore, MD photos to find a project you like, then contact the Baltimore, MD builders that created it.